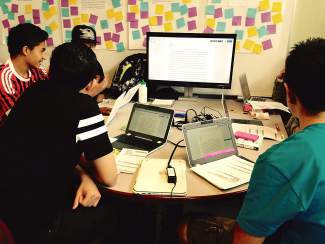 Truckee High School students incorporating technology into their daily learning. 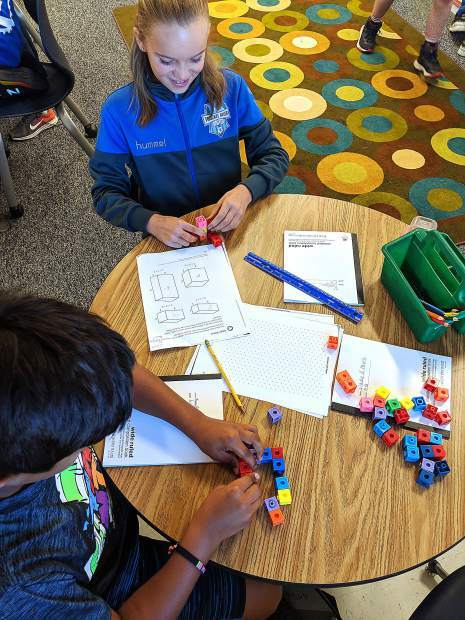 Thanks to a $50,000 grant from the Excellence in Education Foundation, a team of TTUSD teachers is researching what the “Classroom of the Future” should look like. This story is the second in a two part series. The first article ran on July 8. This past school year, a team of six teachers worked with Tahoe Truckee Unified School District technology administrators to experiment with different technologies, classroom furniture and styles of instruction to identify what the “Classroom of the Future” might look like. In doing so, they determined that the incorporation of technology alone in the classroom does not change the way students learn. The active learning eco-system where students are engaged in their education is most successful at the intersection of physical space, technology and pedagogy, or how students are being instructed and guided in their learning. Experiments with modular furniture allowed for greater comfort in the classroom, and flexible workspaces that could be created in a variety of ways depending on the assignment or task at hand. As the teachers began experimenting with different technologies in the classroom, they understood the need for it not only to be flexible and portable enough to move around the room, but how various technologies can serve as learning tools. Technology aids in collaboration, however it needs to not only be teacher driven, but integrated into how students present their group and independent work to their peers. The inclusion of technology that allows students to share information quickly and easily is paramount. Some of the teachers began using an interactive smart board. Designed for presenting, the device can wirelessly control a computer with a side panel connected to the board. Teachers have also begun to integrate the Google Classroom platform into their lessons. Allowing teachers to put everything in one spot, students now have one central location where they can find their reading assignments, projects they need to annotate, and those they are going to work on and turn in. The free program is accessible anywhere, and also allows teachers to comment on student projects while they’re in progress. Tools such as Lucid Chart have provided students with the ability to create graphics and mind maps. These interactive charts can be embedded into Google Classroom and turned in. Chromecast and flexible document cameras have also found their way into the classroom, allowing for greater sharing opportunities. “We’ve found that technology has also allowed those students in independent study to continue working with kids in the classroom on projects and other assignments,” said Jamison. So, what would the “standard” classroom of the future consist of in the way of technology? According to the six teachers involved with the year-long experiment, a standard classroom would ideally have large format projection that is brighter and easier to see, a sound amplification system, a document camera and a teacher device that can be used to drive the discussion and share student work on command. Jessica Weaver is an Excellence in Education Board Member. Visit http://www.exined.org to learn more.